The warmhowers community has been so great to me. Not so widespread as couchsurfing, but the hosts are very understanding to the needs of their fellow bicycle traveler. Traveling through the south of Bulgaria, following the Eurovelo 13 (Iron curtain) trail, my options for finding a warmshowers host were limited. Luckily there was Radoslav who lives in the town of Kardzhali in the Eastern Rhodopes in Bulgaria. He agreed to host me for one night. 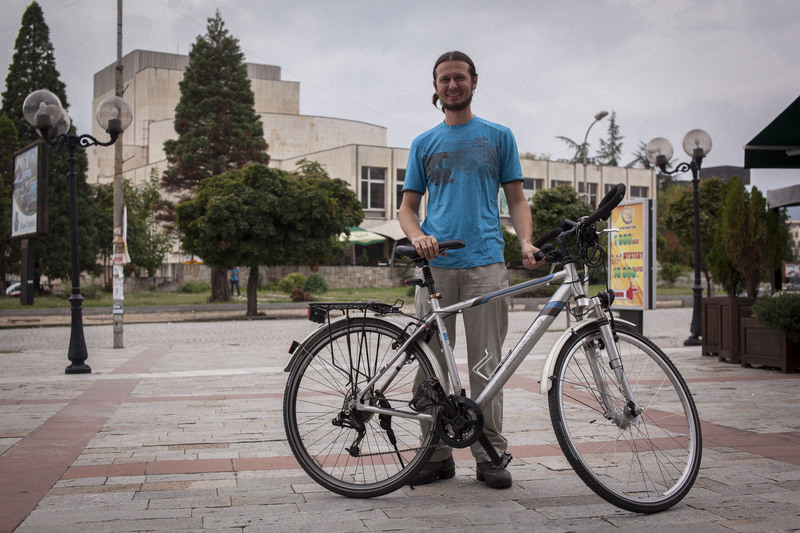 Rado is a self employed computer programmer, his office is based in Kardzhali. We met at the city center, at one of the open-air restaurants the town has to offer. I felt very relaxed and welcomed at Rado’s home. He invited me to a gathering at the home of one of his friends. It’s always interesting to know how people in other countries socialize. So different but also so the same. Being there I was confronted with the fact that just a handful of the present guests spoke English. I don’t find this a problem. I enjoy to hear the sounds and emotions of a foreign language, without always knowing the meaning of the words. 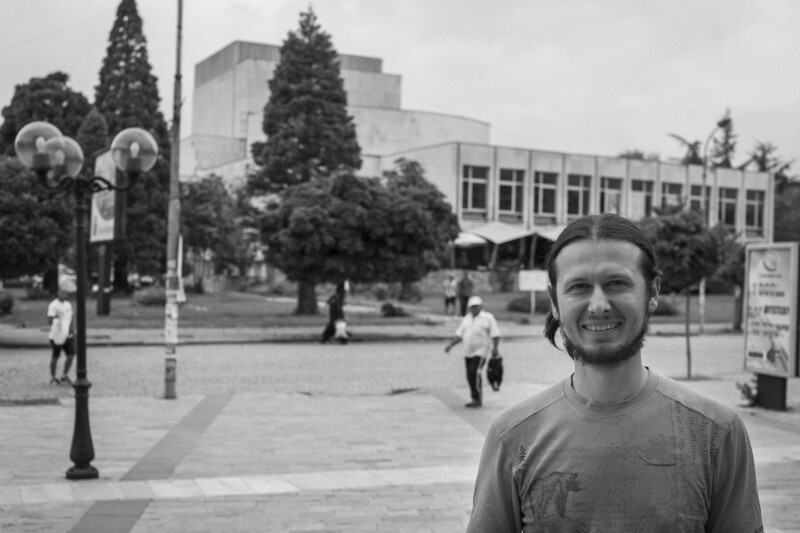 Talking to the people who spoke English, I got to know the dreams and challenges of the Bulgarian youth. And with the Bulgarian economy not doing so well, they have quite a few challenges. The next day I left Kardzhali content and grateful for meeting Rado. I took the alternative path to the town of Ivaljovgrad that he showed me. It was a good proposal from a good host.